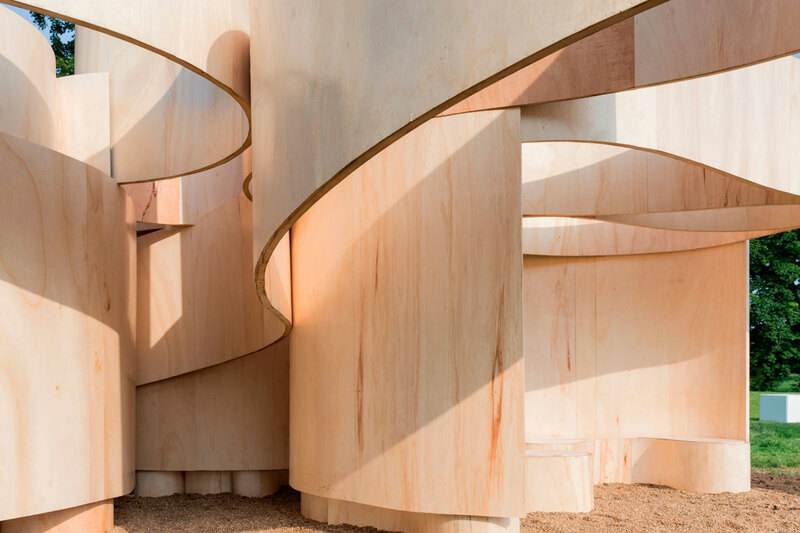 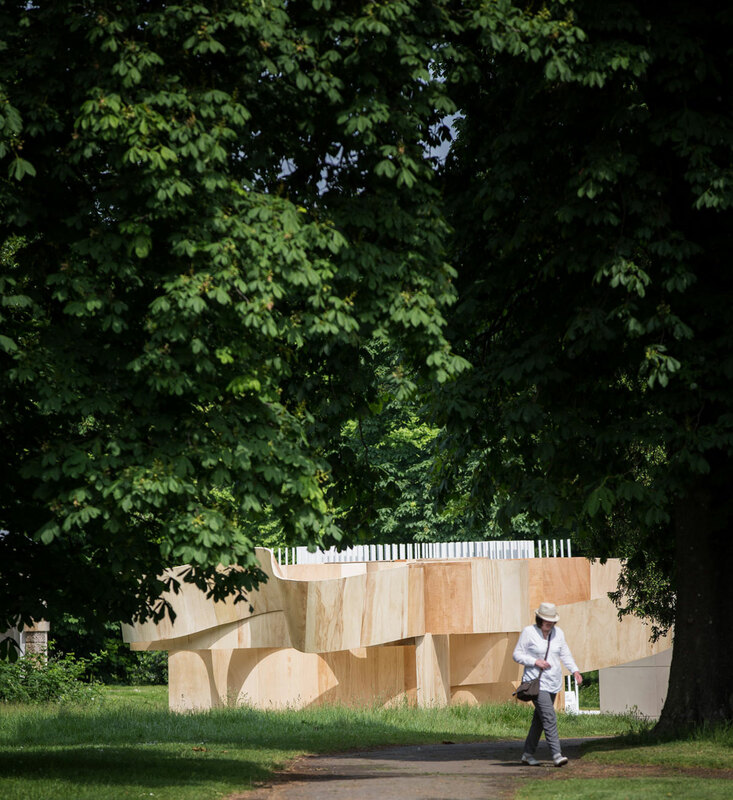 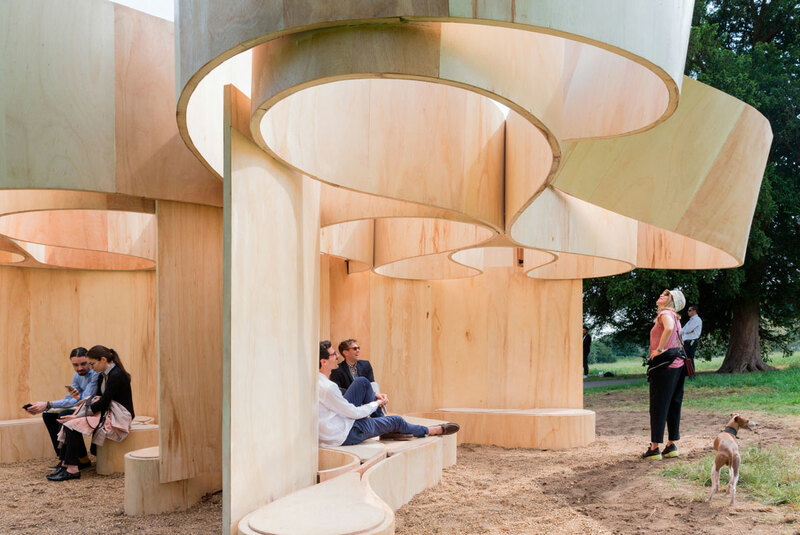 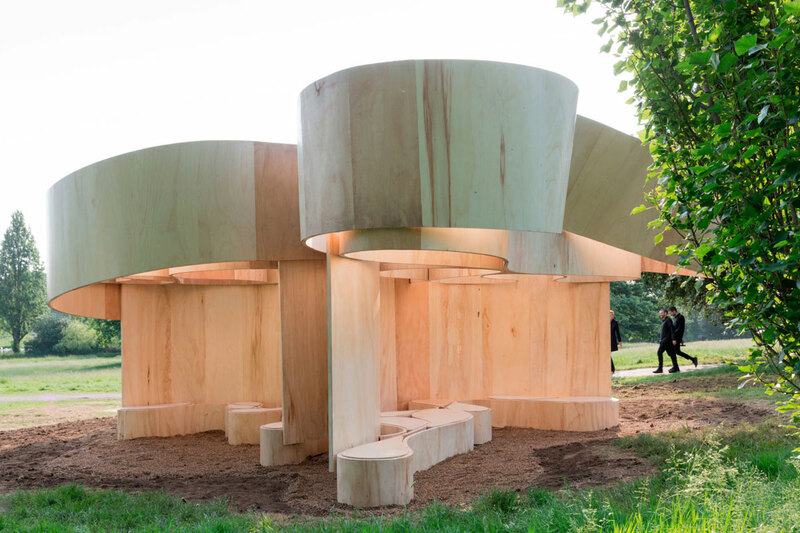 Barkow Leibinger designed the Summer House as part of the Serpentine’s Architecture Programme 2016. 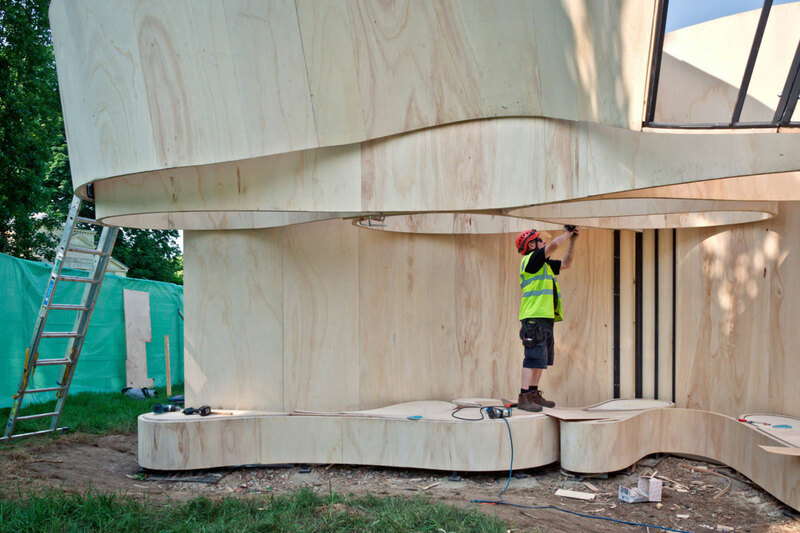 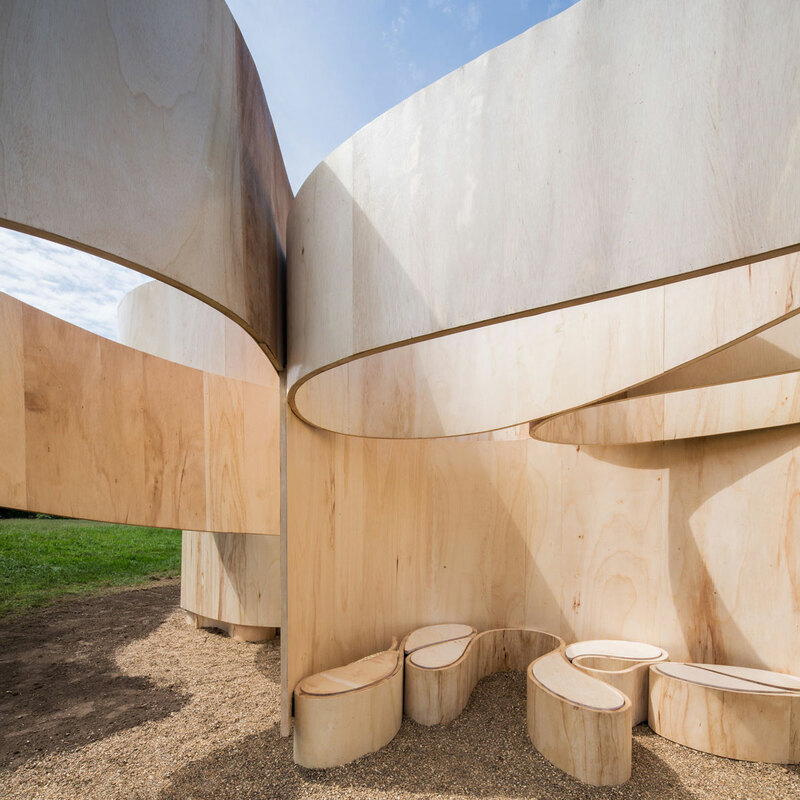 The new Summer House is organized as four bands of structure beginning with a bench level attached to the ground, a second band of three C-shaped walls crowned by a third and fourth level which forms a roof that cantilevers a tree-like canopy over the smaller footprint de ned by the undulating loops of bench wood. 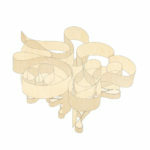 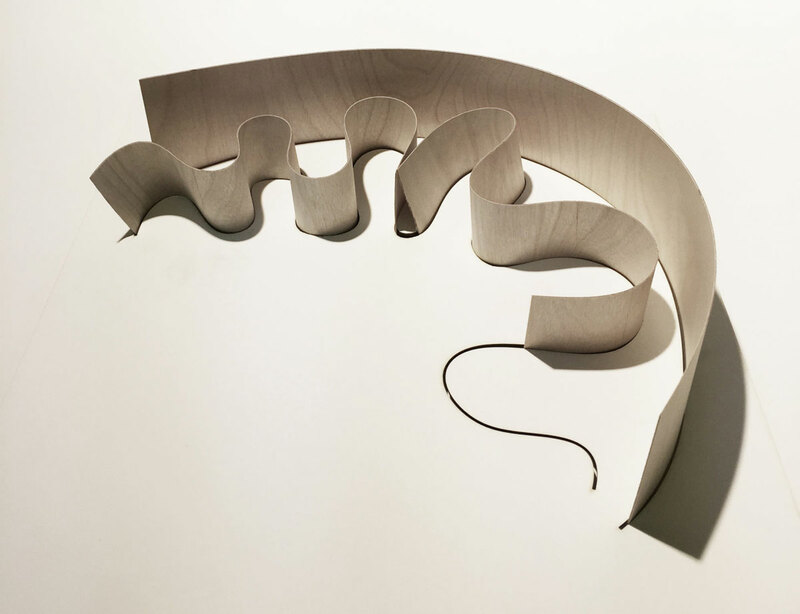 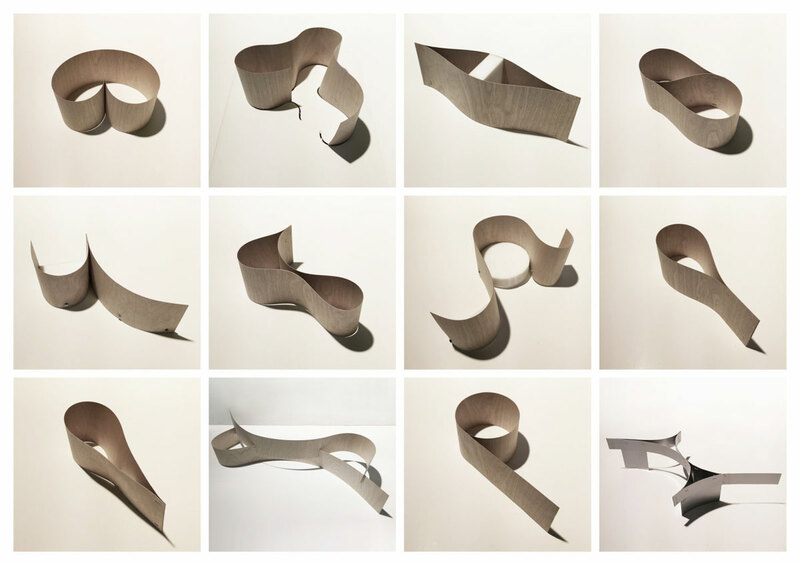 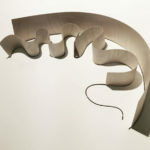 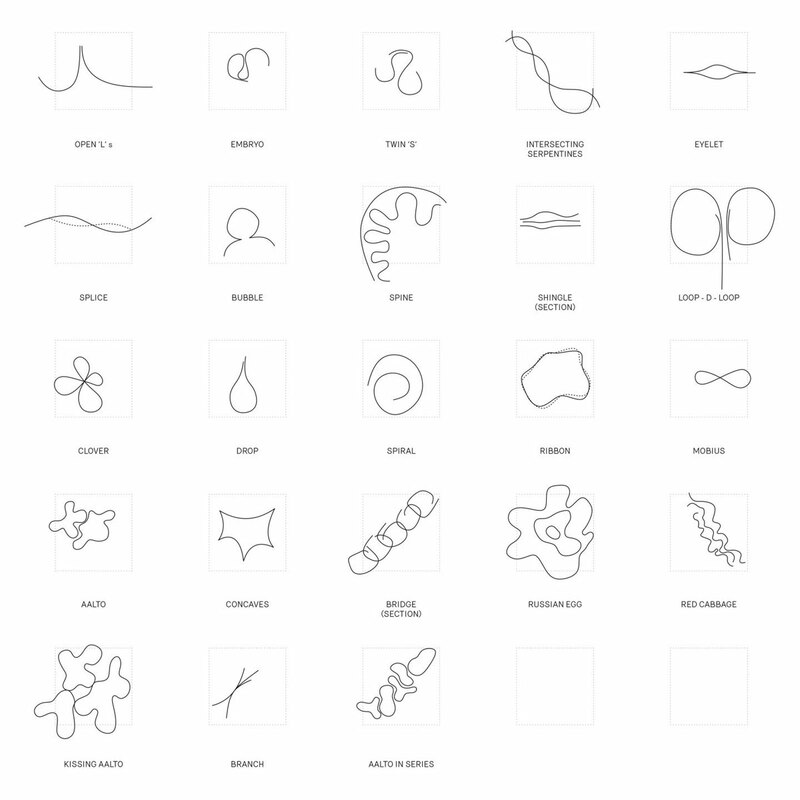 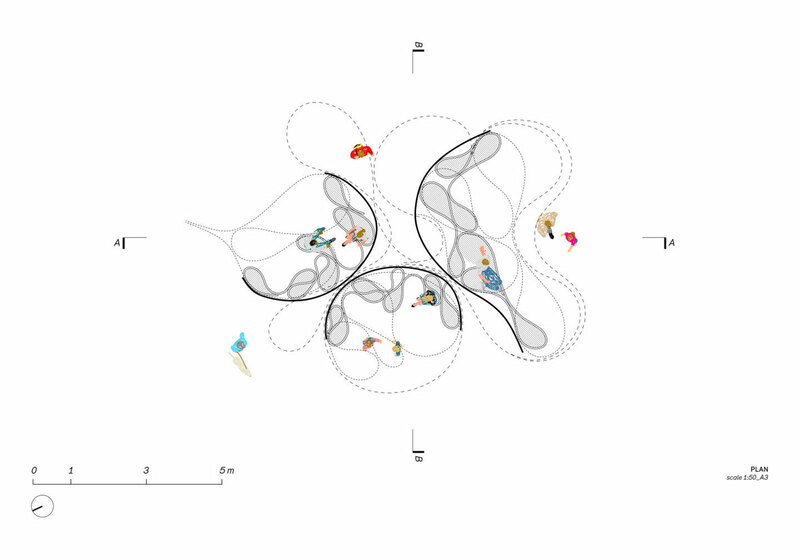 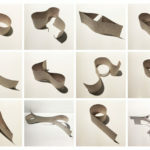 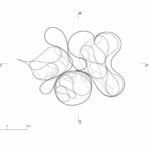 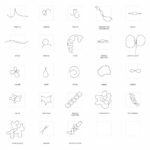 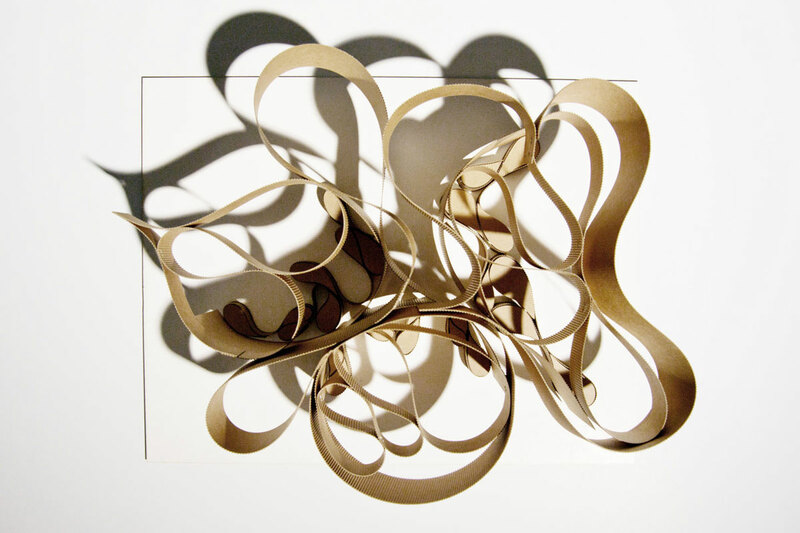 The logic of generating a structure from loops of ribbon is a self-generating one and comes from a logic of making that is, by coiling material in your hands round and round then stacking the material upon itself. 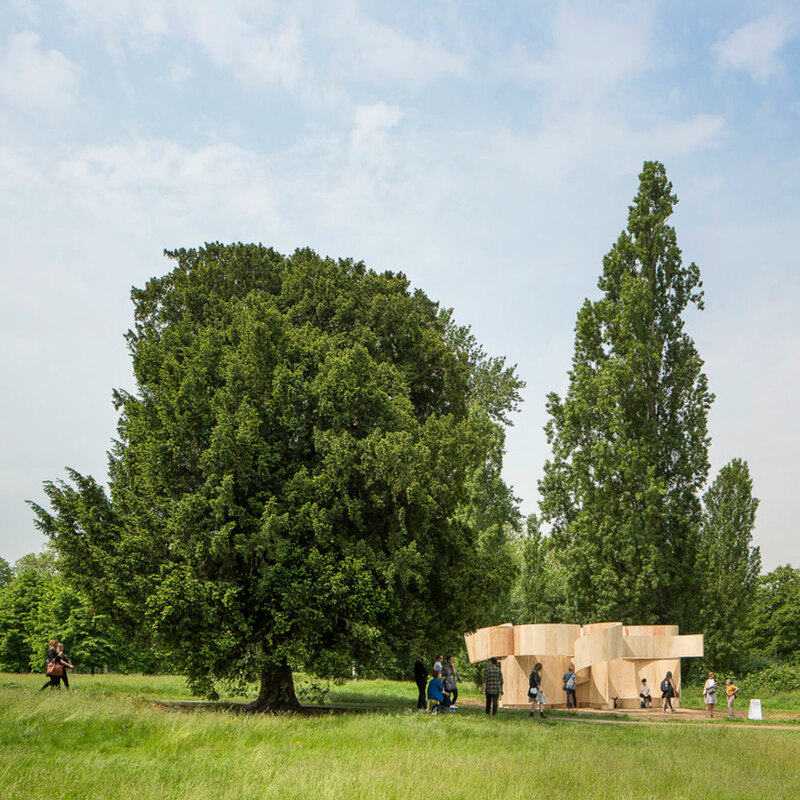 Queen Caroline’s Temple, an 18th century historical “summer house” attributed to William Kent and situated in the proximity of the Serpentine Gallery, stands seemingly purposeless facing a large meadow. 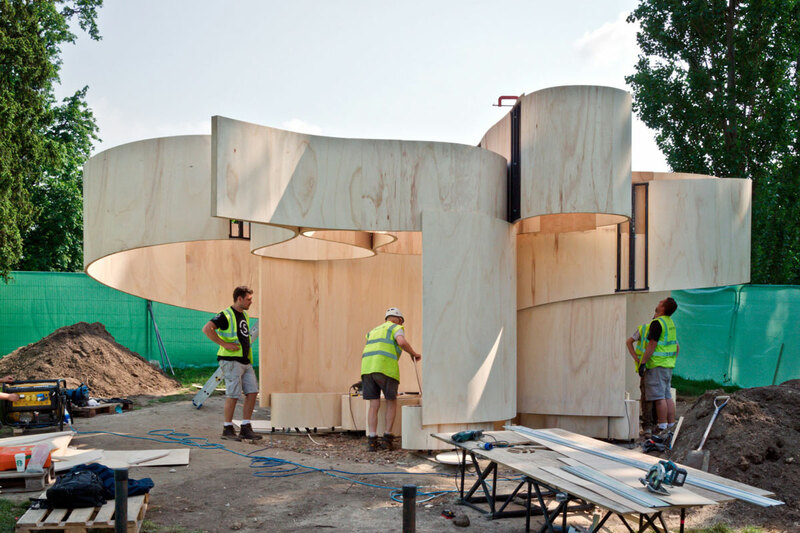 A second, today extinct, Pavilion also designed by William Kent was situated on a nearby man-made mountain constructed from the dredging of the artificial The Long Water. 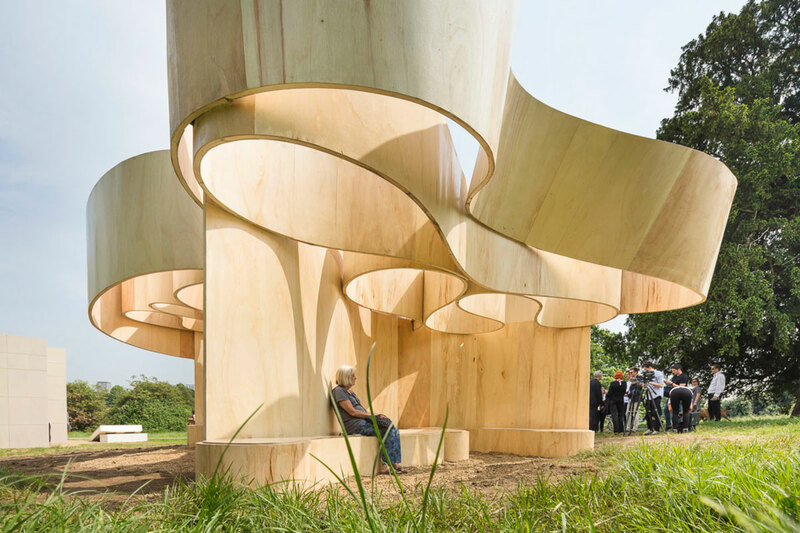 This small Pavilion rotated mechanically 360 degrees at the top of the hill offering various panoramic views of the park and, reciprocally, different views of itself when seen from the park. 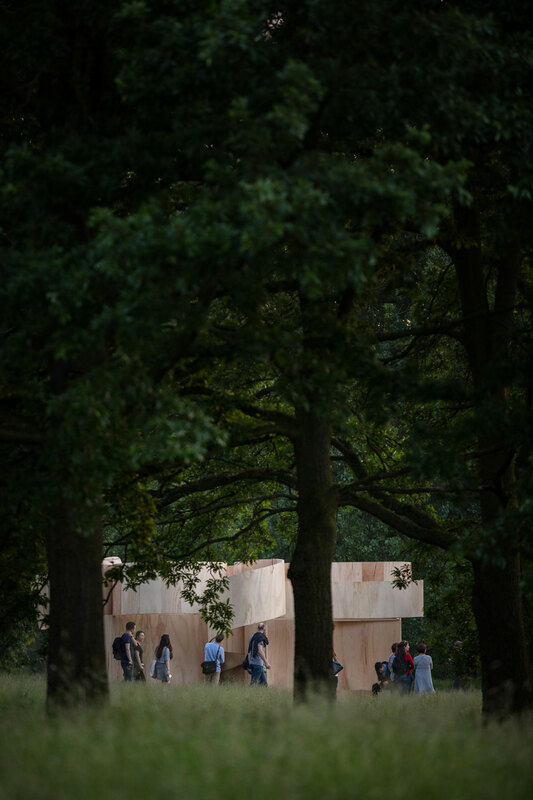 It was meant to be seen in the park and was meant as a structure from which to see its surroundings. 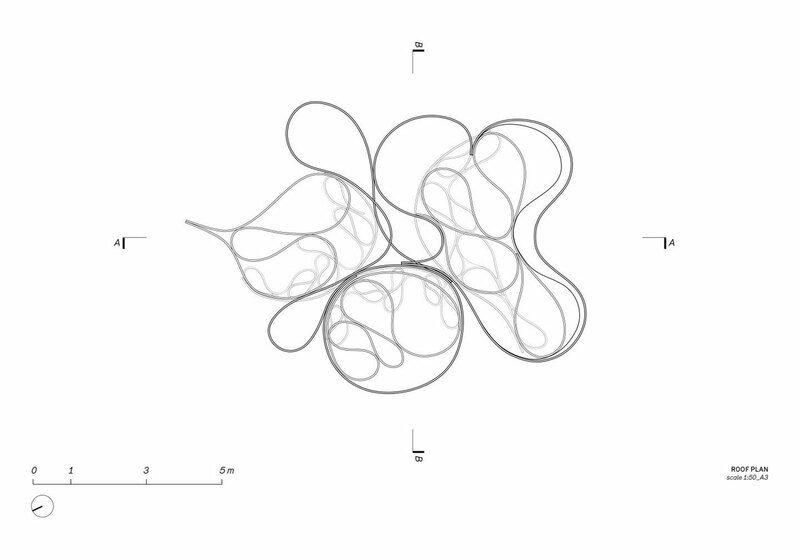 The little mountain and house disappeared at some point in history. 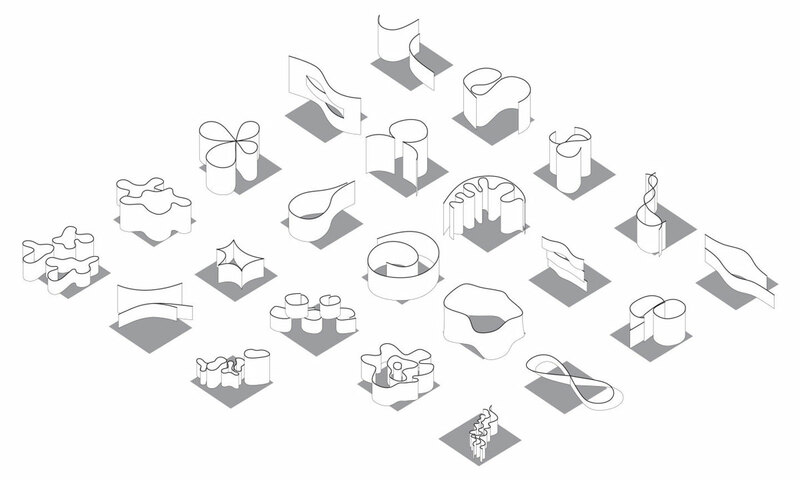 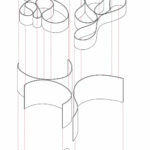 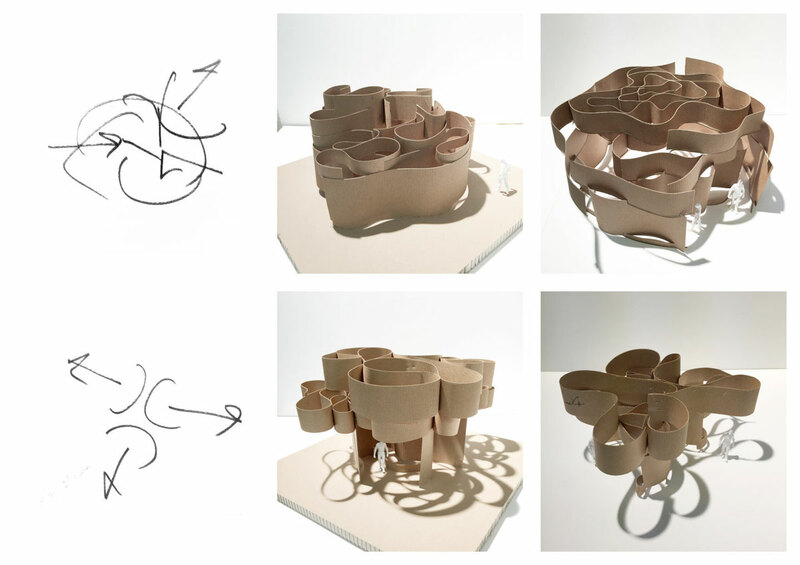 With this in mind (temporality and the absent house), a Pavilion in-the-round standing free with all its sides visible, that is reminiscent of a contour drawing (or the act of drawing a form without lifting the pencil up from the paper and only looking at the subject), is conceived as a series of undulating lines constituting bands and forming part of the structure. 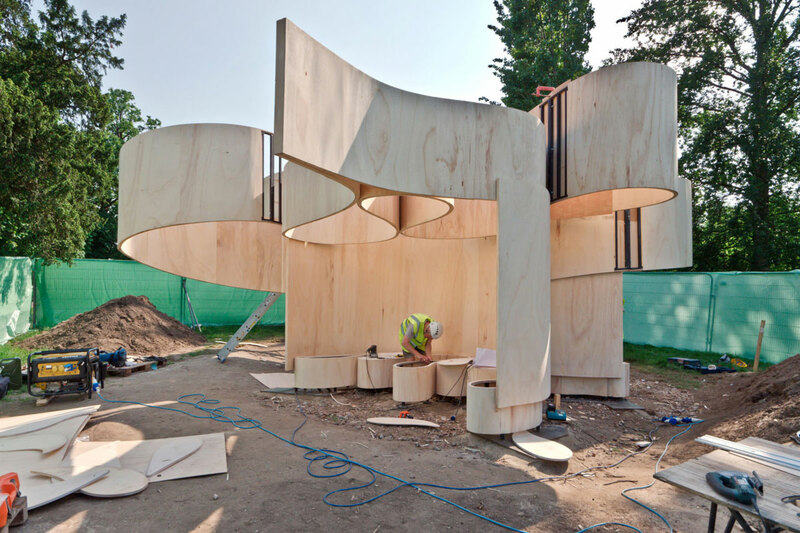 The new Summer House which we have designed is organised as four bands of structure beginning with a bench level attached to the ground, a second band of three C-shaped walls crowned by a third and fourth level which forms a roof that cantilevers a tree-like canopy over the smaller footprint defined by the undulating loops of bench wood. 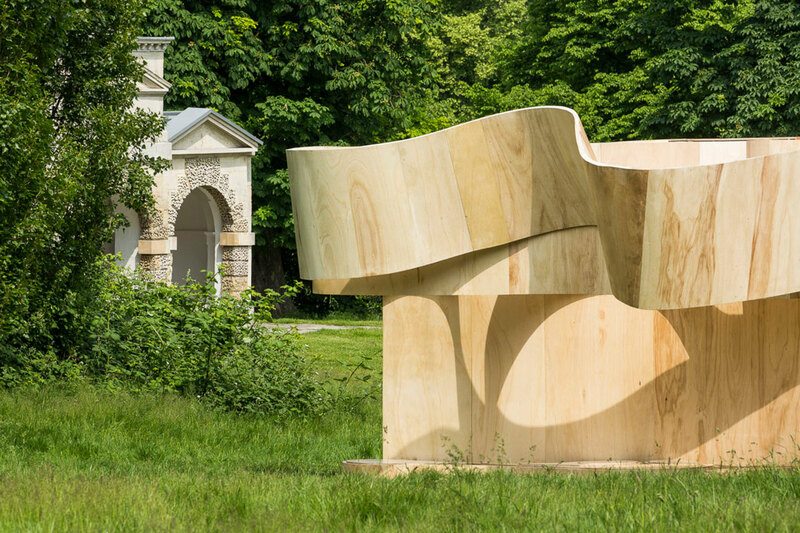 The horizontal banding recalls the layered coursing of Kent’s Summer House albeit its idiosyncratic nature. 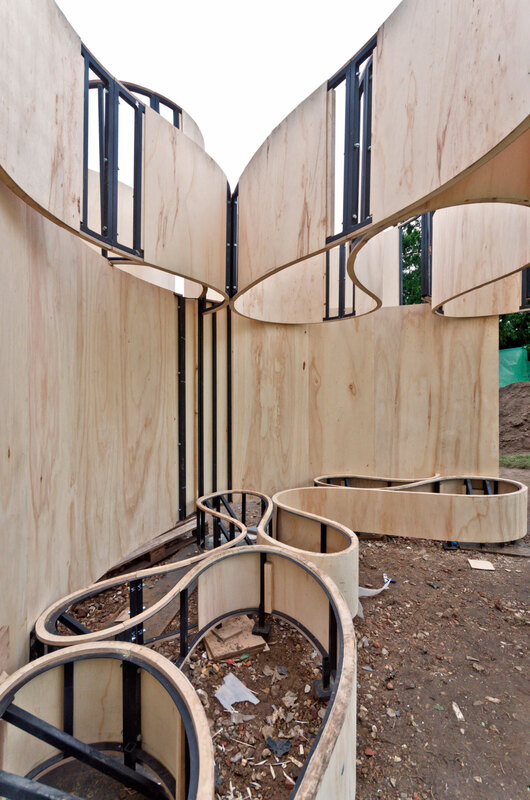 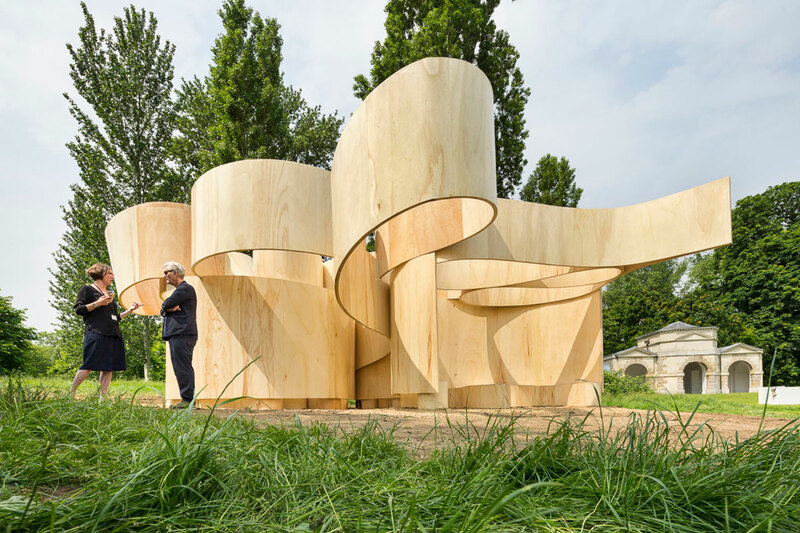 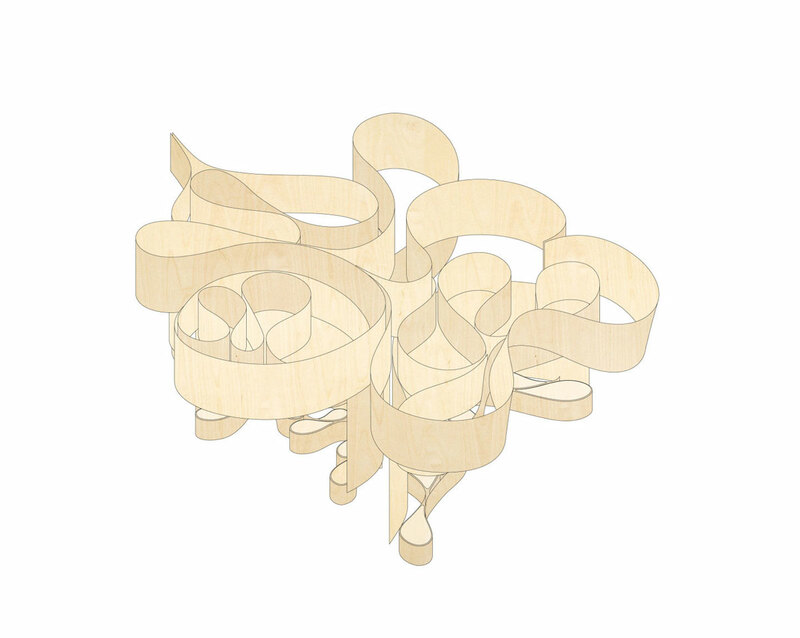 The Summer House is constructed with plywood and timber, materials intrinsically in harmony with the looping geometry of the structure. 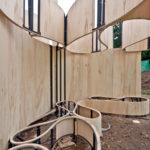 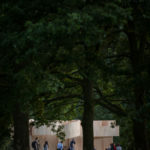 Cite this article: "Wood Summer House 2016 / Barkow Leibinger Architekten," in ArchEyes, June 18, 2016, http://archeyes.com/barkow-leibinger-architekten/.